A perfect yacht charter can whisk you away to paradise or it can take you to a more traditional landscape with rich history and culture. For the Amalfi Coast, you can indulge in both. Cusped by dramatic cliffs at the base of flowing ravine, the town of Amalfi is the gem of its coastline and can be found at the foot of Monte Cerreto, on the Gulf of Salerno. Amalfi is as old as time. 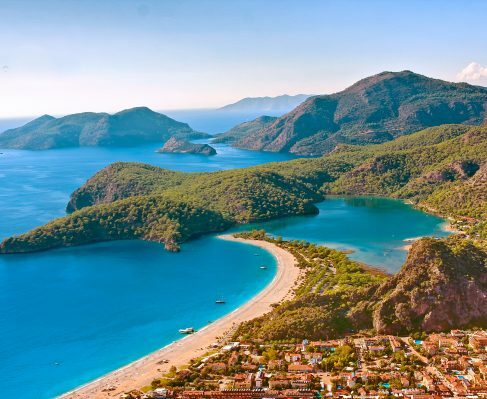 Having first been noted in its history beginning in the 6th century, the small town carved in the cliffs humbly holds a population of just 5,000 people and an undeniably rich culture to offer you on your yacht charter holiday. For much of its lifetime, the town was an essential part of maritime trading, but now it rests as a must-see tourist destination for those wanting to witness the simple beauty of Italy’s coastal region. 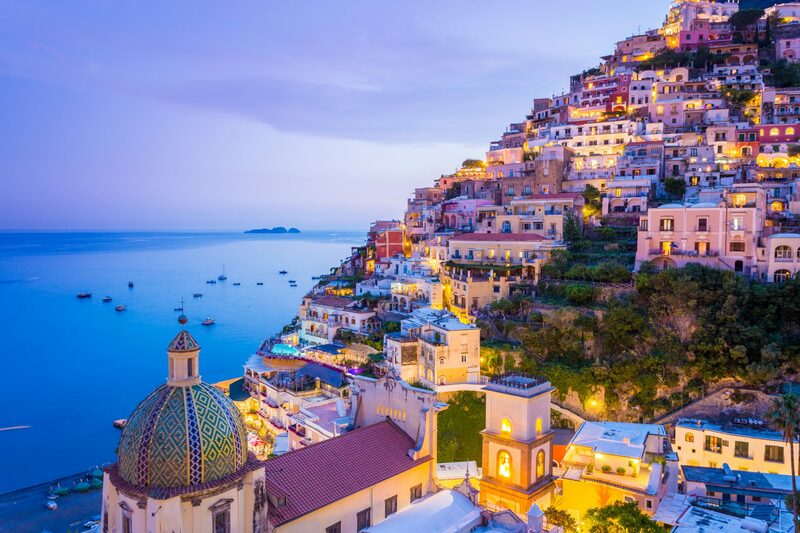 Your yacht charter to the Amalfi Coast will undoubtedly take you into this charming town. Your eyes will first fall onto its Cathedral—built back in the 11th century and still proudly standing in the heart of Amalfi. Like the town itself, the Amalfi Cathedral is beautifully crafted in late Baroque, adorned with paintings, frescos, and statues of saints, but its elegance is chastened by its symmetry and natural surroundings. Chiostro del Paradiso holds unmitigated beauty. Built by Filippo Augustariccio, the “Cloister of Paradise” was intended as a burial ground for Amalfi’s noblest of families. White columns stand in sanctimony, reminiscent of Roman and medieval pillars, as the intricate details on the pearled arches speak towards the early influence of Arabian architecture. Immerse yourself in ancient feat of architectural design, as it is a gem that Amalfi has to offer you on your journey. Spend your holiday absorbing yourself in one of the most sure-fire ways of cultural intimacy: the local food. The Amalfi Coast is known for its rich growth of lemons. The lemons that can be found along this region are unique in their entirety—at least double the size of other lemons—and the people delight themselves in crafting their local cuisines around Amalfi’s incomparable bounty of citrus. Limoncello liqueur is the drink of choice as Amalfi’s lemons add a hint of tangy sweetness into every restaurant’s dishes—from your morning fresh-baked pastry with lemon filling to the first-caught fish off the coastline, garnished with an Amalfi lemon. The Amalfi Coast will not disappoint your taste buds. 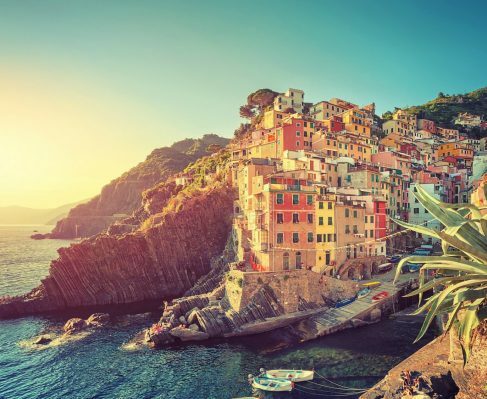 If the majority of your holiday is spent diving into the delectable Italian food of the coast, then consider it a success. Begin with pasta. End with pasta, too. Eat Amalfi’s handmade noodles, made so expertly that you’ll wonder why you ever bought boxed before. Then, the sauce. The sauces of the Amalfi Coast are songs of the chefs themselves, each with their own notes and scales, creating melodies of ingredients that sing together with every bite. You’re on the coast and it’s a sin to pass up seafood. Scialatielli with seafood is a famed dish of the region. Thick, short, linguine-like pasta, Scialatielli originated on the Amalfi Coast and spread like wildfire. Paired with seafood, the dish is unparalleled. Prawns, sea truffles, clams, mussels, and the fish caught that very morning, complimented by olives, ripen tomatoes, and salty capers; this is the food of the Amalfi Coast. Yes, you’ll want to try the mozzarella, and your trip to Amalfi should absolutely include this, especially when tastefully paired with prosciutto. However, don’t neglect the other cheeses Amalfi has to offer you like provolone del Monaco or goat cheese from Monti Lattari. Being on coastline near the lapping water, you can imagine yourself lounging on one of many Amalfi’s spots on its beaches, perhaps one of the most ideal ways to soak it all in, quite literally. 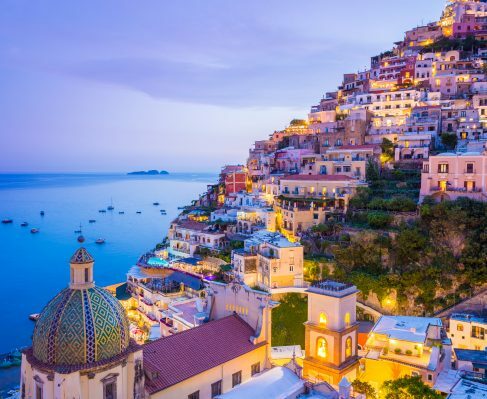 West of Positano lies a resort called Marina di Cantone, a perfect way to carve out a day trip, allowing you to traverse through Amalfi and get to know its exotic landscape of rocky cliffs, pastel colored buildings, and cobbled streets. Sunbath and swim; finish your evening by eating heartily, sharing a drink with friends—like a true Italian. A popular stop for those cruising along the Amalfi Coast in yachts is Capri, a day trip that feels as if you’re sailing through a computer desktop background rather than real life. The island is one of Italy’s most prized scenes, and traveling there aboard a yacht charter is an ideal way to arrive. Shimmering blue waters so clear you can spot skittering fish and coral beneath the glass surface, Capri is a tropical fairy tale opening its heart for you to behold. Rocks jut from its waters, greenery covers the cliffs, and whitewashed villages overlook the passing ships from the shore. If you like a party, visit the Amalfi Coast during its peak season, the summer months. While there’s an influx of tourists, there’s also much to do. People in Amalfi are never short of a good time, especially if the weather is agreeable. For a quieter visit, consider taking a yacht charter to the Amalfi Coast during the spring or fall. You’ll still catch the good weather and see thinner crowds of tourists in the region. Yacht charters have their pick of marinas in the area, like Albori’s Marina or Vietri’s Marina. Chartering allows for you to have the ability to see the pockets of coves and secret caves along the Amalfi Coast as intimately as the locals who have lived there for their entire lives. The Amalfi Coast is a destination for anyone. While history lovers can excite in Amalfi’s Museum of Handmade Paper, the Museum reminds us all of a longstanding tradition that has united the civilized world for centuries, one that the little town of Amalfi had an irrefutable hand in its worldwide production. Here, Amalfi presents to you another example of how something as unsuspecting as the town itself is—and was—so inexorably and immeasurably connected to the greater world. It is a feeling so rare, much like a journey to Amalfi.